BSkyB (Sky) and Home Box Office (HBO) are to co-develop and produce new, original drama as part of an expanded partnership between the two companies. The collaboration includes an extended content output deal to ensure that Sky Atlantic remains the exclusive home of first-run HBO programmes in Britain and Ireland through 2020. Under the new agreement, Sky and HBO will work together to develop and produce spectacular new drama series for broadcast on their networks in the UK, Ireland and the US. Their goal is to identify projects with the potential to run for multiple seasons and to commission these shows, with production to be jointly funded by the two companies. The co-production agreement builds on the highly successful partnership that Sky and HBO have enjoyed since 2010, when the launch of Sky Atlantic reset the broadcasting landscape in the UK, spawning nearly a dozen “home of HBO” networks throughout Europe, Australia, New Zealand and the Middle East. With the extended output deal, new HBO programmes – including True Detective and Looking – will continue to premiere exclusively on Sky Atlantic along with the return of award-winning shows such as Game of Thrones, Boardwalk Empire and Girls. In the three years since its launch, Sky Atlantic has become one of the strongest channel brands in British television and is now rated by Sky customers as one of the top three must-have pay TV networks. In addition to linear broadcast, the output deal supports a broad range of multiplatform rights, ensuring HBO content will continue to be available live and on demand not just on TV, but online and on mobile through Sky Go. Sky Atlantic is also available live and on demand through NOW TV, Sky’s new internet TV service. 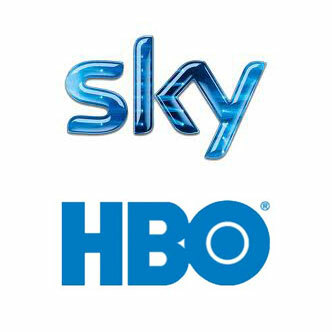 The new agreement with HBO complements Sky’s existing commitment to invest £600 million a year in original British content across its channels by 2014. As part of this investment, Sky has committed to more than 100 hours of original drama this year, with upcoming highlights including Fleming (Sky Atlantic) and The Smoke (Sky 1).